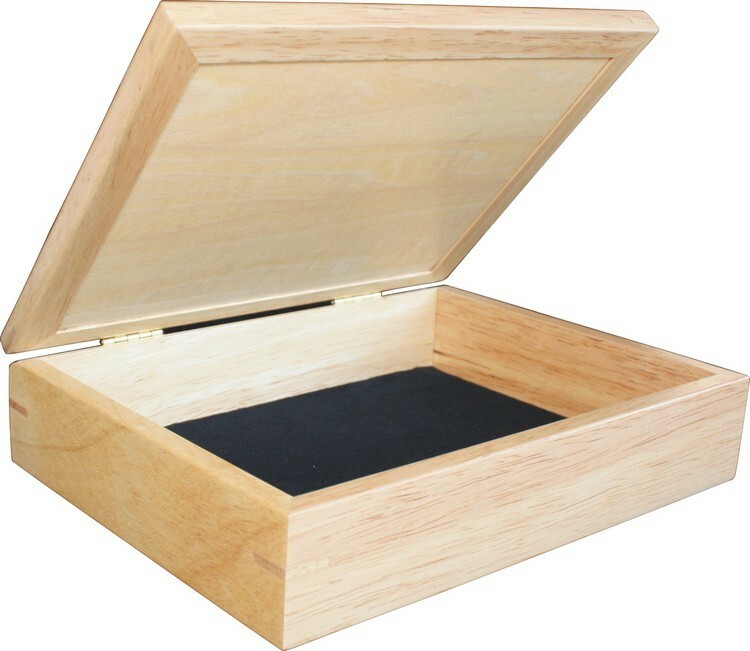 This beautiful unique jewelry box is a labor of love that you can feel in every inch of its handcrafted elegance. Made from solid Rubberwood and finished with Satin Lacquer, it has a black velvet bottom inside. This two drawer wood jewelry box measures approximately 6 11/16"x8 1/8"x4 7/8". 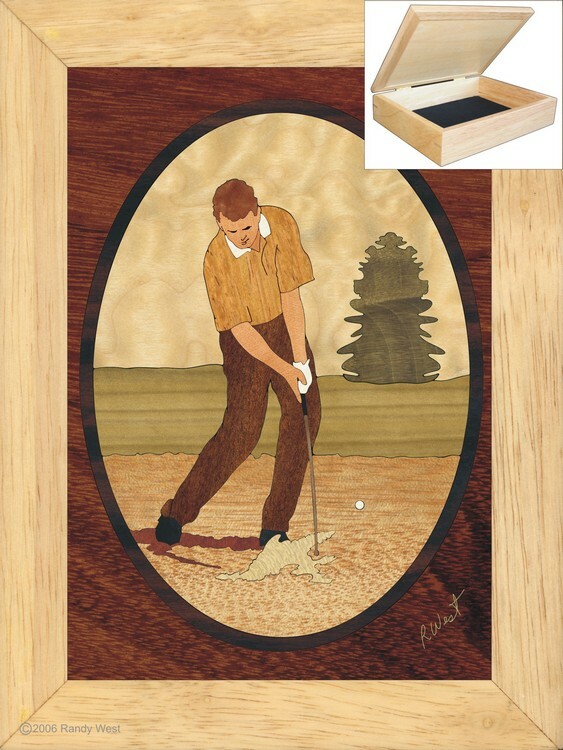 Each piece of wood used to make this wood box has been handcrafted with extreme care to provide premium quality. The strength of this box rests in a special technique of mitered joints in conjunction with rabbet joints and a spline. Not only that, a tan velvet finish to the box bottom protects the surface it rests on. A beautiful and durable container for your gems! Reward Points 32 points will be rewarded to you when you buy this item. I love my small box I have with a hummingbird on it...The box sits on my shelf in my bedroom where I see often. I absolutely LOVE my box and having been wanting to purchase a larger one. Just wanted to let you know I received my jewelry box and smaller box this week-they are absolutely gorgeous! I especially love the 3 drawer jewelry box....fabulous work! 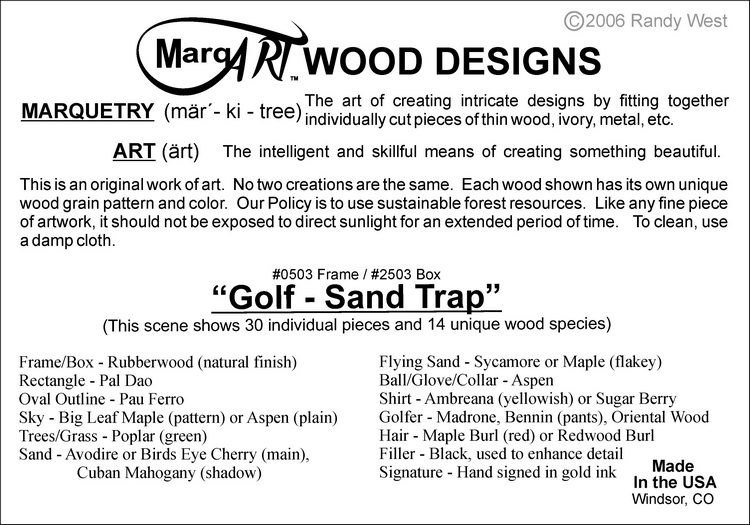 Copyright MarqART Gift Shop. All Rights Reserved. Shopping Cart powered by 3DCart.